When you step inside, you get hit in the face by the beautiful and stylish decor. The staff were super duper nice and we were shown to our seats. 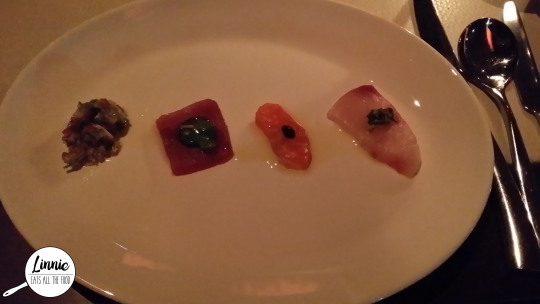 The wait staff recommended the Four raw tastes of the sea which were sashimi accompanied with each condiment. From right to left it was: Kingfish with Cos and Tea Smoked Oyster Dressing, Ocean Trout with Harissa and Preserved Lemon, Tuna with Coriander and Ginger and finally, Scampi Ceviche. Mr D’s favourite was the kingfish and my favourite was the ocean trout. I found the scampi was quite strong. It was refreshing and it is a must try at rockpool. 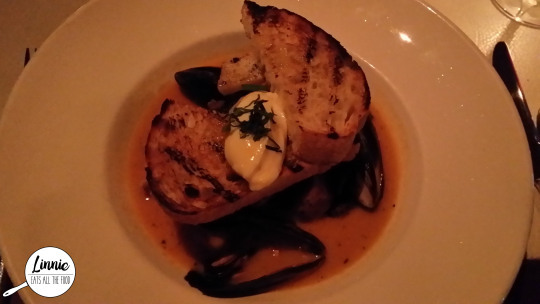 I felt like some seafood so I decided to get the spicy mussel and saffron stew. My gosh, it was oh so spicy but the bread was AWESOME SAUCE. The stew itself was quite fragrant with all the seafood and I didn’t feel heavy whilst eating it. I ABSOLUTELY LOVED the prawns! However, I wasn’t able to finish the stew though. Mr D got the David Blackmore Dry Aged full wagyu skirt cut because, well, he’s here for the steaks YO! He thought it was pretty awesome sauce and had forgotten to share quite a few times *raises fist*. 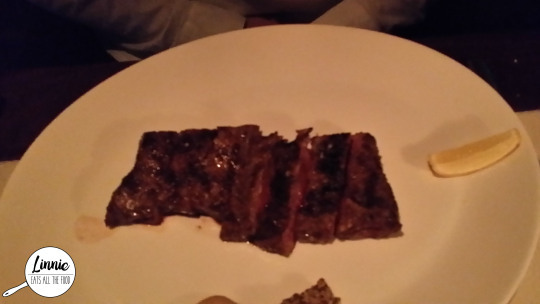 It was cooked perfectly at medium-rare and pretty juicy. 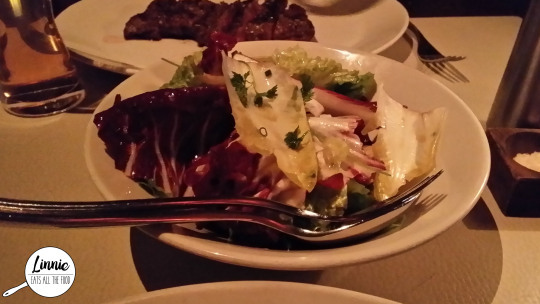 Mr D needed to have greens with his steak so he got a side salad of radicchio, cos and endive salad with palm sugar vinaigrette. It was oh so refreshing and I couldn’t help but eat it all (EAT ALL THE FOOD!). After all those savoury dishes, it was time for the food stomach to transit into the…dun dun dun…DESSERT STOMACH! 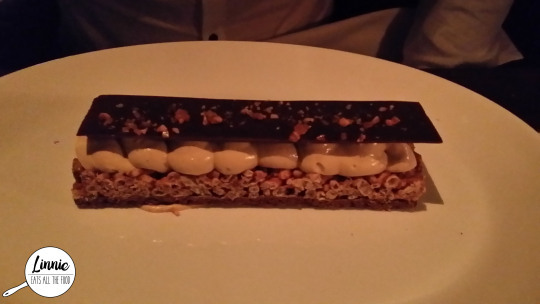 Mr D couldn’t resist the chocolate rice cracklewith coffee mousse and hazelnuts. He wasn’t a huge fan of the dessert and thought it tasted a bit like LCM’s. 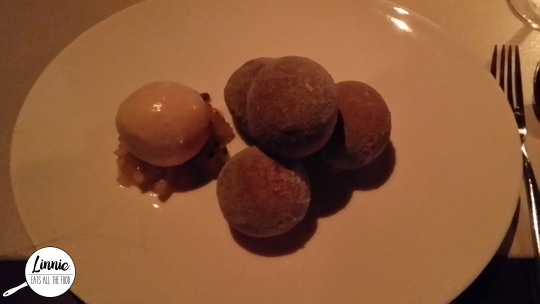 I was recommended to get the vanilla custard filled doughnuts with apple compote and hazelnut ice cream. THESE WERE TO DIE FOR! The doughnuts were all crispy and cinnamon-y on the outside and filled with magical vanilla custard on the inside. It was foodgasm alright. Mr D really wanted to try the dougnuts so I had to eat all the custard for him (how can one not even like custard??) and he thought the doughnut was the BOMB! I wasn’t a huge fan of the hazelnut ice cream but adored the apple compote. 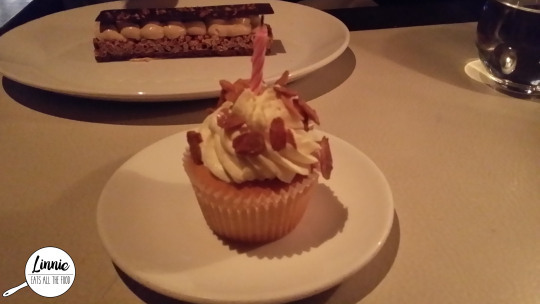 The staff asked if this was for a special occasion and I told them it was Mr D’s birthday and they brought out a birthday cupcake with a candle in it. HOW CUTIE PATOOTIE!!! Mr D was so embarrassed and told me to hurry and take the photo so he could start eating. It was a vanilla cupcake and even though it wasn’t the best cupcake in the world, the fact that they did that was just great service. 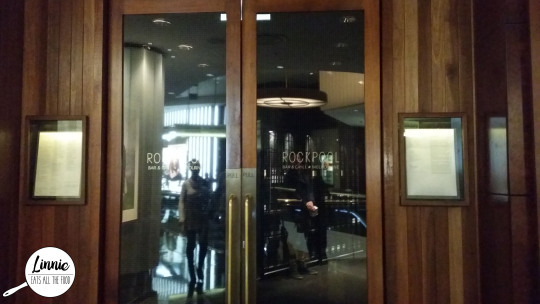 Rockpool has such a beautiful venue with amazing and attentive staff. Some dishes were amazing while others were pretty average. I was super excited about trying out Neil Perry’s eatery and I didn’t think that it lived up to his name which was a tad disappointing.